After much anticipation, Brisbane Festival is finally here for 2018. The extent of the program is dizzying: circus, cabaret, music of all genres and theatre are but a few of the festival’s offerings. It’s a smorgasbord of culture, with a range of unique experiences that could only happen during a festival of this scale. This year’s Brisbane Festival will present 70 events across three weeks – and among the massive line-up, there is a range of experiences that don’t often come around. Here are six to keep on your radar. Not all mirrors are an accurate reflection of the world around us. In the House of Mirrors installation, 15 tonnes of carefully arranged mirrors distort reality to create mind-bending scenes. Set up alongside Brisbane River in South Bank, Arcadia is the heartland of Brisbane Festival. 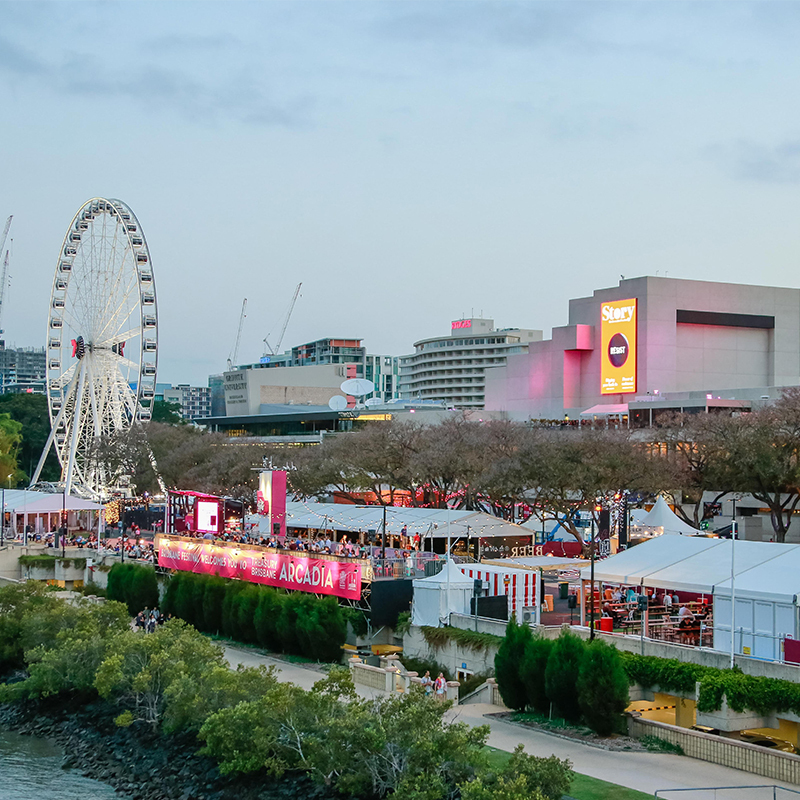 With bars and food trucks, it’s a popular pre- and post-show meeting place, and the ultimate vantage point for Riverfire and the nightly #CelebrateBrisbane River of Light laser show. This year the festival presents its biggest ever line-up of world and Australian premieres, with the list including Circa’s latest production, En Masse, and the specially commissioned opera Peter Grimes, which is exclusive to Brisbane. Cabaret always has a healthy representation on the Brisbane Festival program, and this is no exception in 2018. Better understand this genre of performance at shows including YUMMY, Heaps Gay Trash Palace and Rhonda Burchmore: Bang! Bang! This tent travels all over Australia each year, always faithfully returning to Brisbane in September. This impermanence together with a charming design of wood, canvas mirrors and stained glass creates a rich atmosphere. Shows in The Spiegeltent include California Crooners Club, LIFE the show and Tkay Maidza. This year’s festival is as frightful as it is delightful. Séance is a sensory deprivation experience that takes place in a pitch-black shipping container, while theatre show Horror is a homage to unsettling movies including The Shining, Rosemary’s Baby and The Exorcist.